For fans of The National, Pinegrove and Kings of Leon, BRIDGES create transatlantic, guitar driven, alt rock. 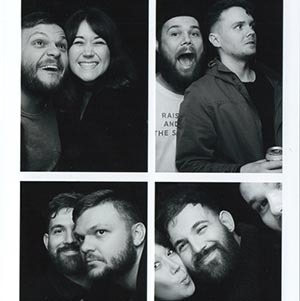 The quartet have supported the likes of Airways, George Ezra, and The Coronas, as well as playing slots of Glastonbury, Leeds Festival, Y Not and Kendal Calling. 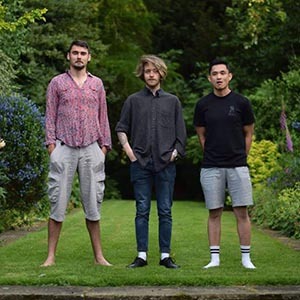 Echo Gecco is a three-piece that seeks variety in their sound. Based on the foundation of alternative rock, they turn stones and stitch together myriad influences. They have been hitting up the local music scene with a bang ensuring each live gig will make you want to watch again. They’ve been working hard to create a name for themselves through animated, energetic performances and weird time signatures. 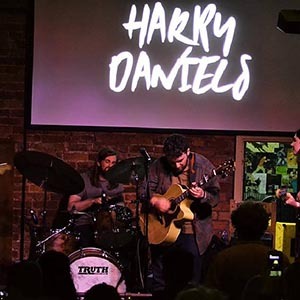 Harry is returning to hometown Birmingham with his full band this time, after a successful solo slot supporting Natalie Holmes in Moseley at The Cuban Embassy in October. Harry and the band are stoked to be performing at The Flapper in support of musical mates Bridges, ahead of a Cheltenham headline show in March and having secured a place in Pilton Party Auditions in April for chance of a slot at the one and only Glastonbury Festival’s annual ‘thank you’ fundraising gig. See you at The Flapper.